Schaumburg IL Storm Damage & Roof Repair – Weatherguard Construction Co.
Weatherguard Construction Company IL License #104-033200 routinely works with homeowners who are interested in updating the exterior of their home or are concerned that it may have been damaged by hail or wind during severe weather. We will perform a thorough hail or wind damage inspection of the exterior of your residence, help diagnose any storm-related issues with your roofing, siding, windows or gutters, and guide you through the insurance claims process if needed. Find out more about our process here. Here’s a fact you might not know: the so-called Windy City is not actually the windiest city in the United States. According to wind speed statistics compiled by the Climatic Data Center at the National Oceanic and Atmospheric Administration (NOAA), that dubious honor goes to Abilene, Texas, with an average wind speed of 13.6 miles per hour. Among major cities, Boston gets top honors with an average wind speed of 12.3 miles per hour. Of course, anyone who has lived and worked in Chicago as long as we have (more than 16 years at our Schaumburg location) knows that the Windy City earned its nickname for a reason. Chicago is pretty windy. And snowy. And rainy. And hot (in the summer). And cold (in the winter). In fact, aside from hurricanes and desert sand storms, Chicago’s weather covers all the bases–– kind of like a deep dish pizza with everything on it. And if you’re new to Chicago, eating a properly made deep dish pizza should be your number one priority other than making sure your roof will withstand a Chicago winter––we take our friends and family to Lou Malnati’s, Pequod’s, Giordano’s, Pizano’s and Gino’s East. That’s right: after moving into your Roscoe Village condo or your Arlington Heights ranch, your first priorities should be in this order: winterizing and wind-proofing your roof, and then ordering some of Chicago’s finest deep dish pizza to celebrate. Third? It’s a tie: check out a comedy show at the iconic Second City, and make sure you take in Cubs game at Wrigley Field. If you’re not from the Midwest and want to see what Midwestern wind can do to a roof, just watch the iconic film “The Wizard of Oz.” Sure, it’s set in Kansas, but it gives you a pretty good idea of what happens when strong winds (or tornados) hit a flat city like Chicago. Want to make sure your roof is shipshape before cold winds start howling? We love it when customers call us preemptively for a roof and siding checkup–before any damage occurs. Not only does yearly maintenance save money on costly future repairs, but you can prevent snow and wind damage from happening in the first place. If you’re a Chicago native, you not only know what lake effect snow is–you’ve survived it. If you’re relocating to the state from Arizona, you probably need a basic lesson. Lake-effect snow occurs when a body of cold moves across the warmer water of a lake. As the air passes, it picks up some of the (warmer) moisture of the lake. As the moisture cools while it passes over land, it drops precipitation––and if the air is sufficiently cold, it turns into snow. If you’ve seen the massive snowfalls that dump over Great Lakes cities such as Buffalo, Cleveland and Chicago, then you’ve seen lake-effect snow in action. As weather action goes, it’s pretty impressive. When these epic snowfalls occur, however, homeowners who haven’t maintained their roofs can be faced with serious problems when an old or poorly maintained roof springs a leak––or caves in at a weak point––due to the sheer weight of lake-effect snow. A roof’s reason for existence is to protect people and property from the elements. 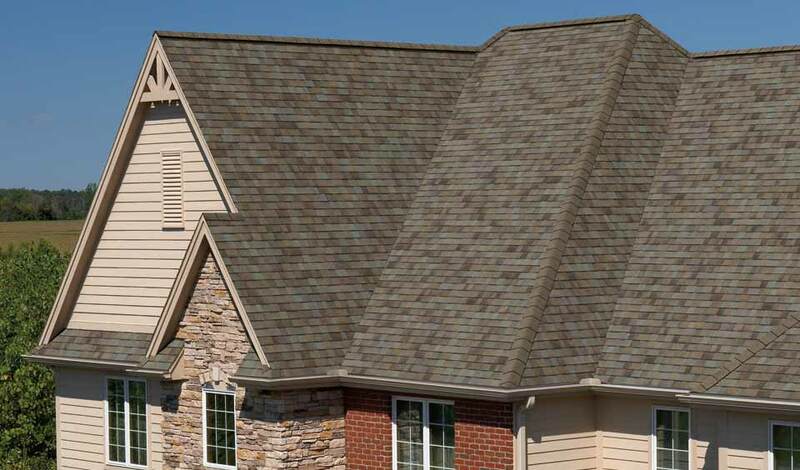 In a state with so much snow and other precipitation (and without precipitation, even enormous Lake Michigan would eventually run dry) a quality roof is doubly important. In order to understand how best to build a roof to withstand the elements, you have to fundamentally understand how an region’s complex ecosystem and weather patterns impact roofing systems. In the Chicago area, lake-effect snow is one of the signature expressions of our complex ecosystem–and it’s something that requires a quality roof to withstand. When it comes to cold weather and snow, nothing fazes us: we’ve been there, done that. We have the skills and expertise needed to handle virtually any commercial or residential roofing project from the Kentucky border to the southern suburbs of Milwaukee––no matter how much snow piles up. We embrace a solid Midwestern work ethic, which means we’re committed to ensuring quality craftsmanship with zero hassle for each client. With more than 16 years in the business, we’ve already satisfied thousands of customers. A Platinum Preferred contractor, we proudly score an A+ rating with the Better Business Bureau. We provide top-notch roofing and siding services to commercial and residential properties throughout Chicagoland and greater Illinois. From our base in Schaumburg, we travel far and wide across the state to build and repair roofs for a huge range of urban and rural communities––from the university town of Champaign-Urbana to farming communities near the Missouri border, from the Quad Cities’ Moline to the historic village of Galena. We understand that whether you’re a Homeowners Association for upscale condos in River North, a property management company for college apartments in DeKalb, or a small town near Carbondale whose park district needs new roofs on several public buildings, that you need essentially the same thing: a professional roofer who understands the complexities and tight timelines of commercial construction projects. Weatherguard’s Illinois offices are based in Schaumburg, a town that we like to say has all of the access to Chicago with very little of the stress. To visitors, our town is known for one thing: shopping. We’re the home of one of Illinois’ only IKEA stores, which means we are a very popular weekend destination for Chicagoland residents. After you’ve picked out the perfect couch, you can head to Woodfield Mall. With over 300 stores, it’s one of the largest malls in the Midwest (and 11th biggest in the nation). We’re about 30 miles from the Chicago Loop, and only ten from O’Hare Airport. Need Roofing Advice? Give Us A Shout! We’re proud to build, maintain, and repair roofs for our diverse client base across The Land of Lincoln (otherwise known as the Prairie State). We’re proud of the Chicagoland roots we’ve planted–now matter how much snow and ice Lake Michigan delivers in January.